$172,000 were awarded at a ceremony in Highland Park on May 18. Pictured left to right are Rick Dovey, Chair of Sustainable Jersey Board of Trustees; Stephanie Baumgartner of Friends of Ortley Beach; Toms River Township Assistant Planner Erika Stahl; Toms River Regional Schools Assistant Superintendent Dr. Marc Natanagara and Director of Secondary Curriculum Norma DeNoia; Maria Spina, Corporate Responsibility Stakeholder/PSEG Foundation Program Officer; and Randall Solomon, Executive Director of Sustainable Jersey. 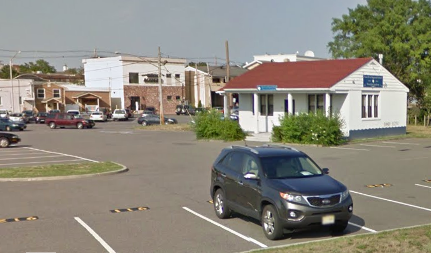 The Toms River Regional School District has announced that they, along with the township, have won a competitive Sustainable Jersey grant funded by PSEG, which will lead to the remodeling of the Poseidon Academy building in downtown Toms River. The SYnergy – which stands for School Youth Energy – project will use the $20,000 award to remodel the aging Poseidon Academy marine science building in downtown Toms River into a flexible workspace promoting environmental research and activism for students and the community, officials said in a statement. The remodeled space will support the new School of Environmental Sustainability (SES), part of a STEAM Career Academy debuting in September 2017 at Toms River High School East. Expanded courses and opportunities will continue to be led by teacher and Poseidon director Jon Hoffman. Students from across the district will benefit from SES student outreach as well as local experts recruited as mentors, sponsors, interviewers, speakers, and guest teachers, according to officials. “This grant process has been another perfect opportunity to connect the schools and towns we serve, and it addresses goals set by our Board of Education to expand career education, technology applications, and sustainability efforts,” said Superintendent David Healy. 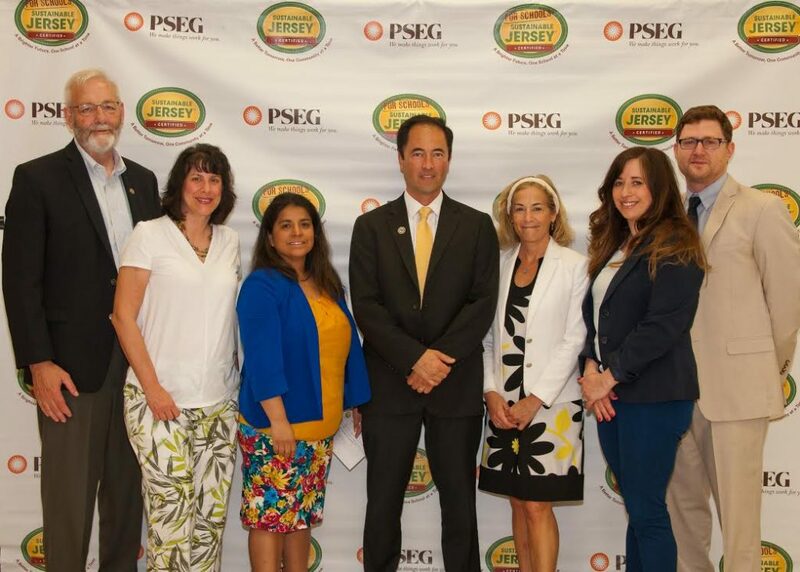 “We are grateful to PSEG and Sustainable Jersey not only for giving us the means to refurbish a space and create more exciting and authentic learning opportunities, but to encourage work that will positively impact the town we live in,” said Board of Education President Ben Giovine. In addition to extensive repairs and remodeling to be made by the district and township, staff, students, community partners, and volunteers from local organizations will help design and build new elements to include an open-air portal, distance learning system and an outdoor display case. Students and local organizations plan to increase their use of the refurbished site to offer public lectures, workshops, and presentations. The small concrete building, a former bus depot, sits at the foot of the Toms River after its waters have flowed over 40 miles through Barnegat Bay from the Atlantic. It currently contains a classroom that comfortably fits 15 students, several fish tanks, scuba gear, and some water testing equipment. Once the project is completed, it will hold up to 25 people and have new technology and utilities. With the portal opening, additional visitors can participate in activities such as evening lectures. The project builds on the town’s continuing recovery from Superstorm Sandy in 2012. A high water mark is painted on the side of the building to show how the lab was immersed in over two feet of water five years ago, causing extensive damage. The grant was submitted by the district through the town Green Team and the Toms River United Sustainable Team (TRUST), of which the district is a member. Lead writer Dr. Marc Natanagara, Assistant Superintendent, collaborated with district staff, the Township of Toms River, Friends of Ortley Beach, the Barnegat Bay Consortium, and other local organizations to develop the plan. At a ceremony in Highland Park on May 18, Sustainable Jersey presented five $20,000 grants, six $10,000 grants, and twenty $2,000 grants to fund a variety of projects across the state. “These grants support green teams and municipalities working at the local level to build vibrant and sustainable communities,” said Randall Solomon, executive director for Sustainable Jersey. He extended his congratulations to all of the towns that received grants. “The grants we awarded today will build capacity as municipalities move sustainability programs forward and work toward the goal of a more sustainable New Jersey,” Solomon said. what’s happening in Toms River!